Concentrates Inc. has helped the Campbell Community Garden from the beginning. They helped us interprate our soil test and helped us choose which amendment to add to our soil during construction of the planting beds. 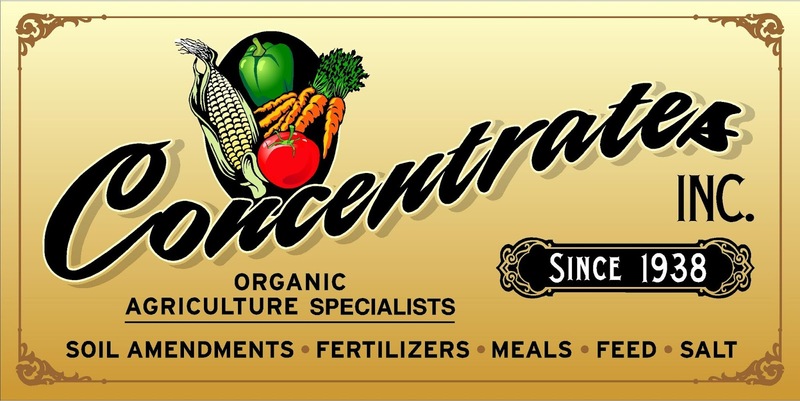 Concentrates is now sponsoring us by providing their Natural & Organic All Purpose Fertilizer w/Mycorrhizae for our gardeners to use. Thank you Concentrates, your fertilizer will help us to grow abundant nutritious food! Neighborhood business Tempus Dictum Inc, has been a garden sponsor form the beginning of the garden. They generously sponsor two of our Harvest Sharing Garden beds. Their sponsorship covers the rent and materials needed to grow produce year round. In 2014 we donated 1,600 pounds of veggies and herbs. Thanks! Sponsored our herb growing efforts with the donation perennial herbs, and donated 4 excellent books on vegetable growing to our resource library. Sponsorship of two of our Harvest Sharing Gardens, Tempus Dictum has supported us since the beginning of the garden, we are thankful they are our neighbor! Seeds were planted through out the garden, many grown for our Harvest Sharing Gardens. Grant to purchase compost for amending and mulching our soil. Sponsorship of two of our Harvest Sharing Gardens, the produce grown in these gardens were a significant part of the 1,600 pounds we donated in 2014. Tempus Dictum has supported us since the beginning of the garden, we are thankful they are our neighbor! Sponsorship of our new Blueberry beds. We didn't allow the blueberry plants to fruit their first year in this new garden, however we anticipate a great harvest in 2015. Two boxes of seeds were used in the garden ans shared with several other Milwaukie gardens. Thanks to the businesses and individuals who helped build the Campbell Community Garden.